A true and wonderful optical illusion created by framing solid black octagons with solid color 'bowties' angled all around them. 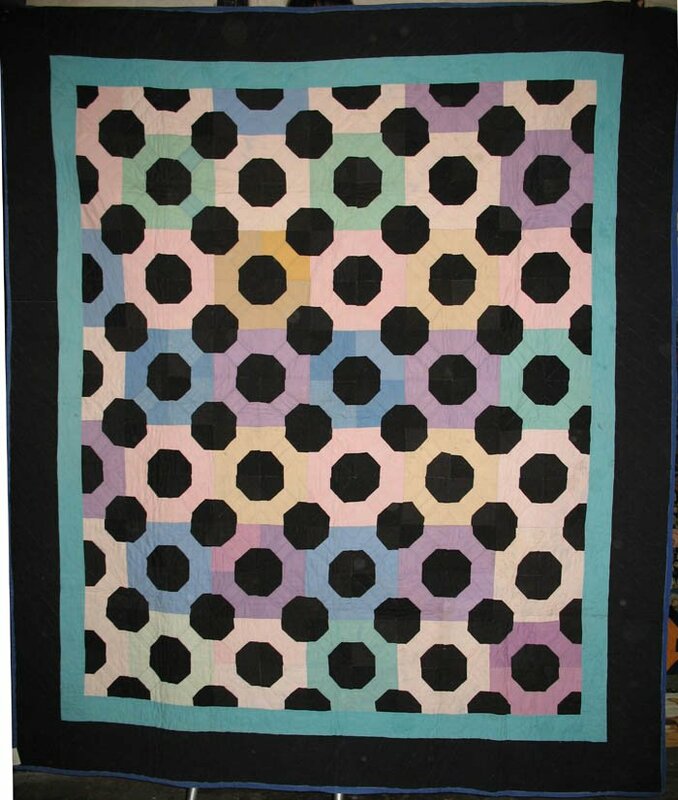 The eye sees either the multicolor pastel 'ground' pieced pattern or the deep black octagons that seem to float above the surface. Black cotton sateen with jewel tone solid cottons isa favored palette of the Ohio Amish in Holmes County, whose output is traditionally rectangular in shape with a narrow inner border as in this fine example.